In need of some father and son time, we packed our lightweight backpacks and set off to explore. This would be our first overnight trip together for the season and would be great practice for a multi night trip planned in a few weeks. 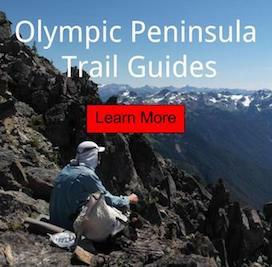 For this adventure, we would be backpacking up the Elwha Trail; to do a quick overnight backpacking trip. At the trailhead with our matching shirts, minimalist footwear and ultralight packs. Making our way across a stream. Break time with the Elwha River. Making our way along the Elwha River. Pitched camp. Spend the afternoon exploring the gravel bar barefoot. Seen one Black Bear grazing in the distance. Evening with the stars, under our Locus Gear Kufu Sil using DPTE. Seen Momma and her Cub headed out. Post hike sunset at the Elwha Mouth.